Default Design is a team of creative marketers, designers and copywriters who are here to create the best online marketing strategy for your business and make it happen. We work with you in order to achieve your business goals, taking into consideration all the available resources. In the process, we love using solutions that are creative, different and catch the attention of your audience. 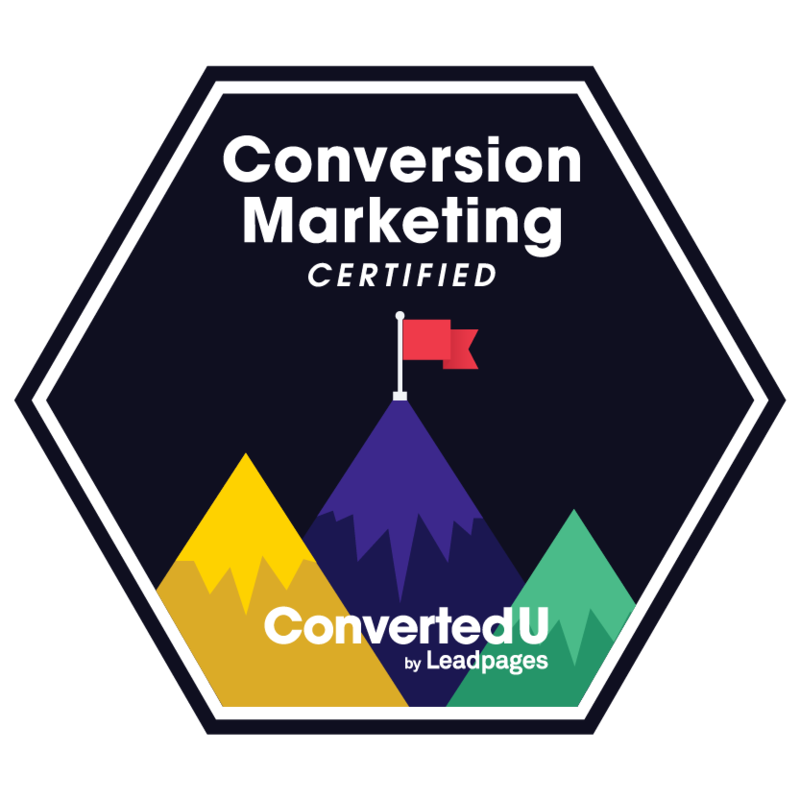 As Leadpages Certified professionals, we are equipped with the right tools and qualified to achieve greater results across the entire conversion marketing lifecycle. With our knowledge, skills and expertise in conversion marketing, we can generate more traffic, visitors, leads, customers and brand promoters with utmost precision and efficiency, saving you time and money. We will help you take the guesswork out of what works in conversion marketing to propel your business forward. A good website is the first step in any successful marketing strategy. It represents an online shop window of your product, service and an entire brand. That’s why you should invest in building it properly. More than 10 years’ experience in creating professional business websites and online shops taught us how to project, develop and optimize a website that returns the investment in the shortest time possible. Great content is what makes you different than your competition. It gives you credibility, makes your clients trust you and presents you as an expert in the area. We’re here to suggest the best topics, pick the suitable channels of online communication and create high-quality content that will add value to your offer, build your brand and increase your profits. Do you know exactly what it takes to turn your website visitors into clients? With optimized landing pages and the right calls to action, we can convert your website visitors and at the same time build an e-mail list of qualified subscribers in a natural way, That means you have the contact info of people who are already interested in your offer and who are ready to make a purchasing decision. Before you successfully start selling your products or services, you need a clearly defined online and offline strategy. We will organize sales webinars, promote your new projects or startups, position your product and build your brand online, and increase your sales.